EP-50 ABC Dies Dies: Izumi Products. Beku type dies for EP-50 and REC-551F Tools. Beku type dies for ABC connectors use with the following tools EP-50,REC-551, ECO-50. 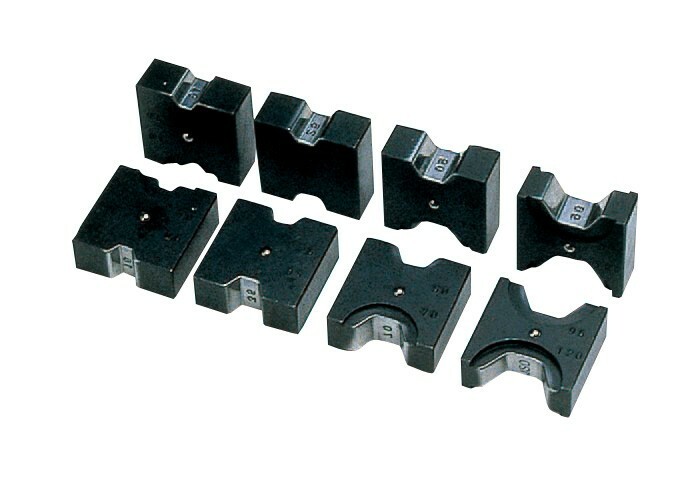 Single sided, set consists of 14.7,17.3,21 suitable for Insulated ABC connectors. suitable for Insulated ABC connectors.